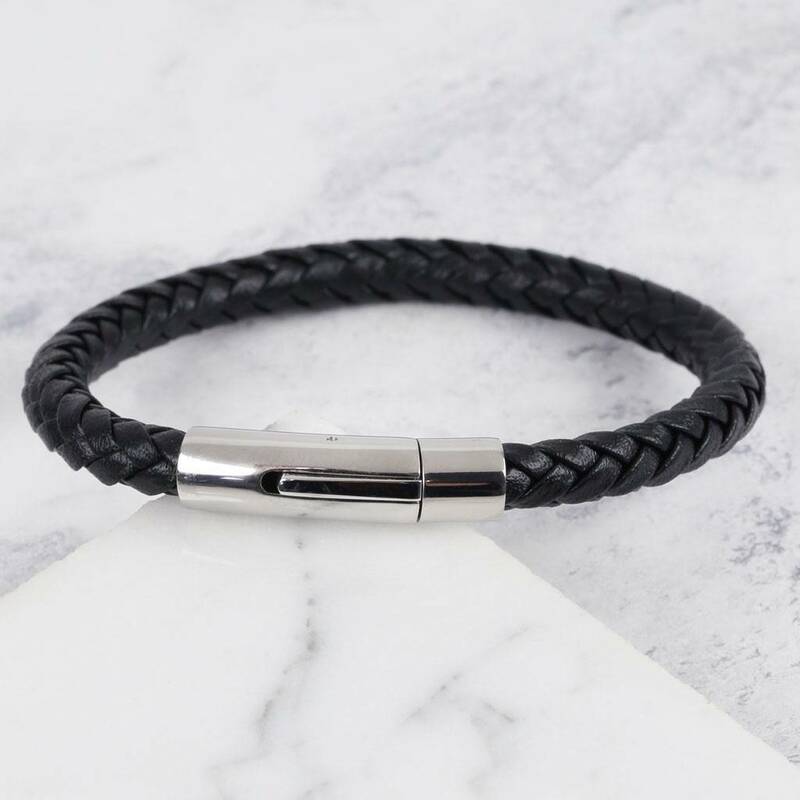 This personalised woven black leather bracelet, with engraved polished clasp, from the Lisa Angel Men's Collection is the ultimate in cool masculine style. 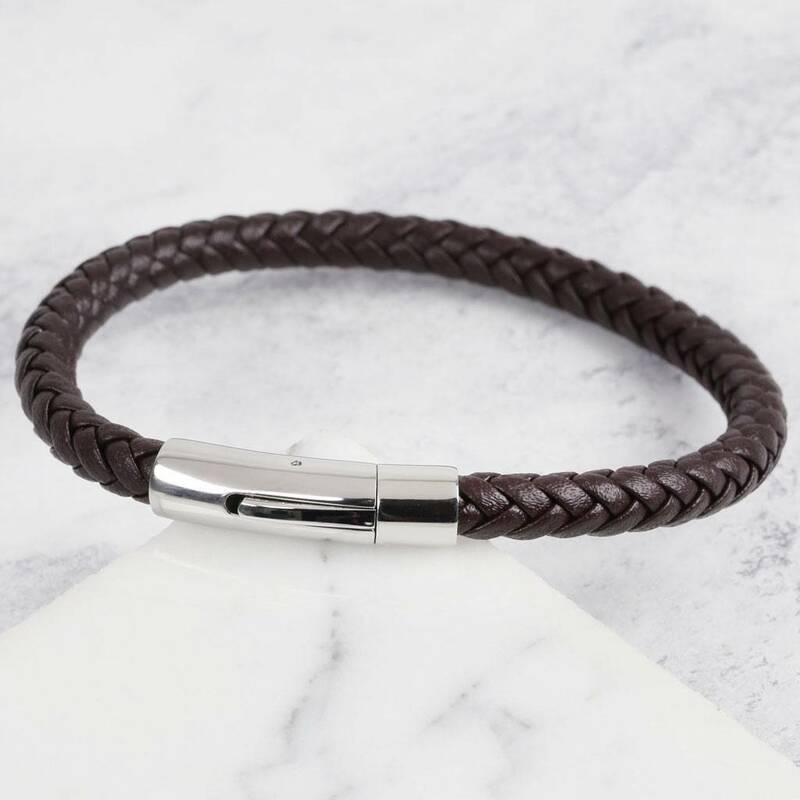 Made with real leather, this stylish piece of men's personalised jewellery is the perfect accessory collection addition. 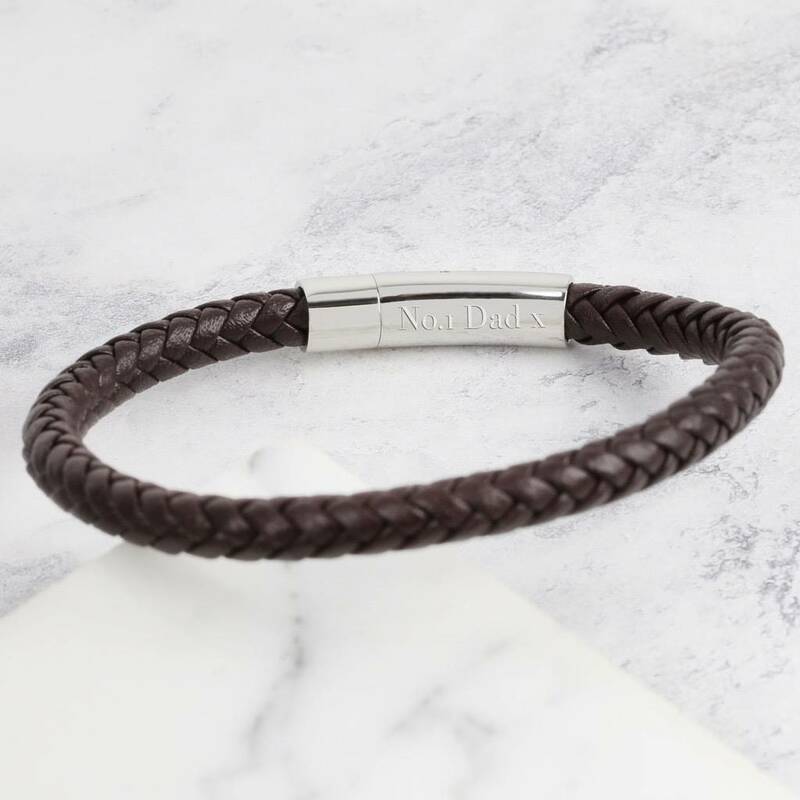 The sleek black colouring of this bracelet makes it hugely versatile, and the engraved stainless steel tube clasp turns this sentimental bracelet into a fantastic gift. 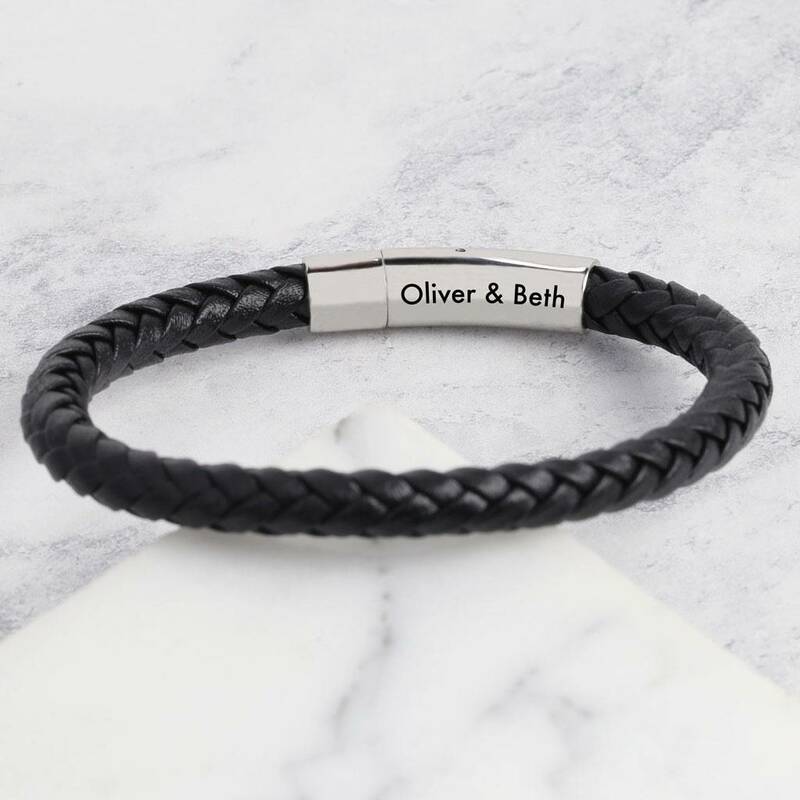 Personalisation: your wording will be engraved onto the inside of the clasp, so will be hidden when worn. 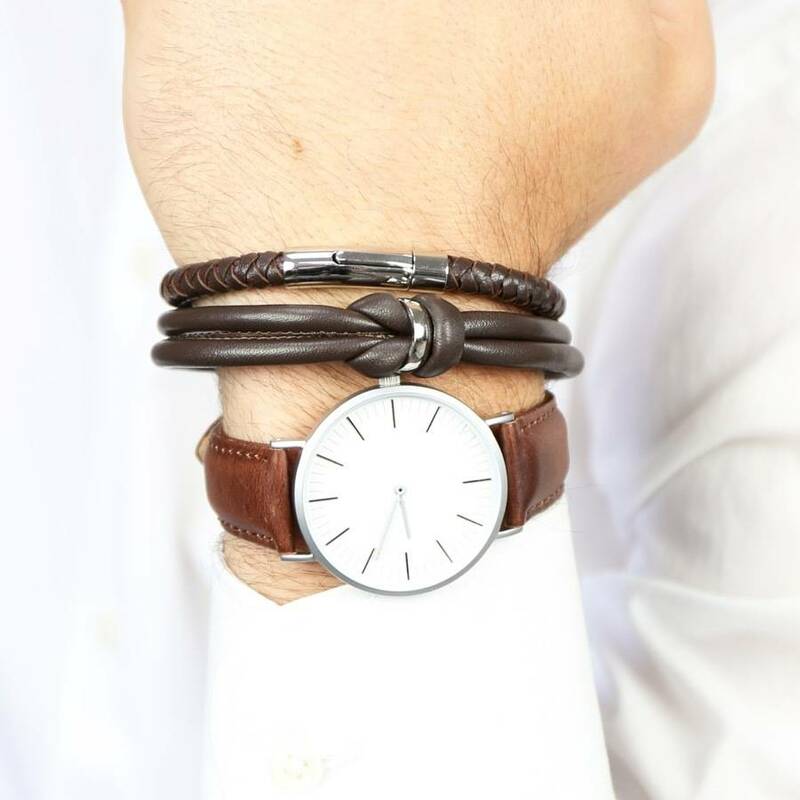 Character limit: up to 18 characters including spaces and punctuation.